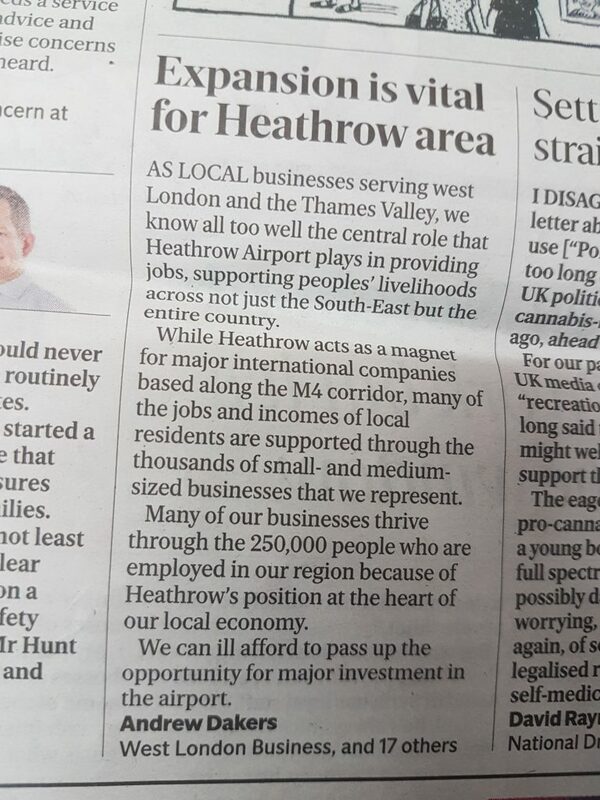 West London Business members’ letter of support for Heathrow expansion is in today’s (28/06/18) Evening Standard. As local businesses serving West London and the Thames Valley, we know all too well the central role that Heathrow airport plays in providing jobs supporting peoples’ livelihoods across not just the South East but the entire country. While Heathrow acts as a magnet for major international companies based along the M4 corridor, many of the jobs and incomes of local residents are supported through the thousands of small and medium sized businesses that we represent. 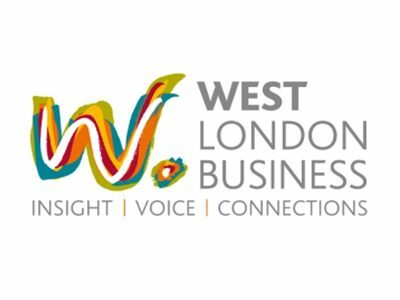 Many of our businesses thrive through the 250,000 people who are employed in our region, spending money in our shops and on our services, because of Heathrow’s position at the heart of our local economy. We can ill afford to pass up the opportunity for major investment in the airport.